Connected in Cairo: 30 Percent Off! 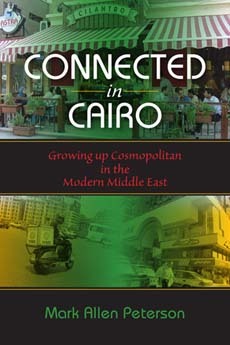 You can buy Connected in Cairo through Indiana University Press’s web site and save 30% beginning next week (Aug. 8th) and through the rest of the year. That means you can get the paperback for a mere $17.47 (saving more than $7) and the hardback for only $49 (a savings of $21)! My publicist tells me that this 30% sale applies to all Indiana University Press books. Just go to the web site here, and click “Add to Cart”. Then click “Checkout”. Enter the information and proceed to checkout, where you will have the opportunity to enter a promotional code. The continue through checkout and payment, following the instructions. The deal is only offered through the Indiana University Press web site. ← The End of an Era in Egypt: Mubarak On Trial!